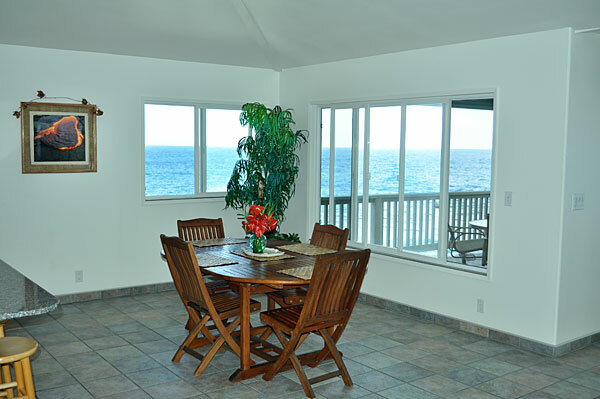 Spectacular oceanfront property with ocean views from nearly every room. 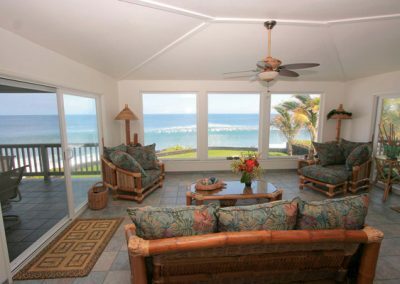 As you enter this quality built custom home the first thing you notice is the wall of windows over looking the ocean taking full advantage of the beautiful pacific blue sea only a few steps away with its reef of tropical fish, turtles, dolphin & seasonal whales. 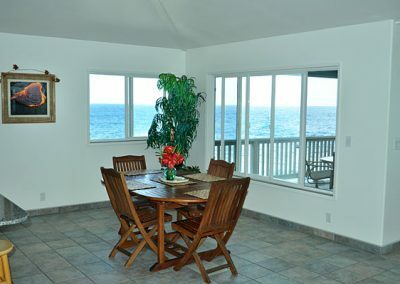 The main floor has a large living area with breathtaking ocean views and glass doors leading out to two separate lanais. 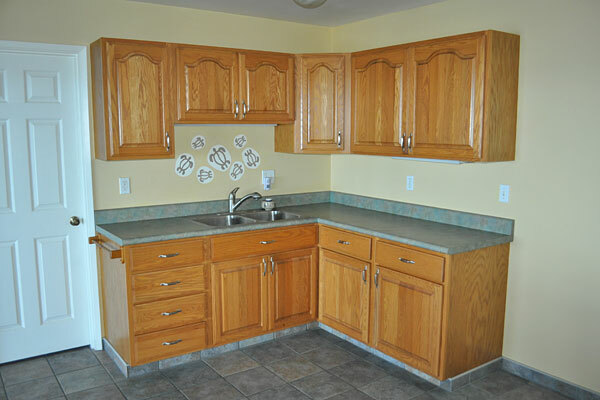 The kitchen is spacious with walk-in pantry, stainless appliances & Silestone counters. 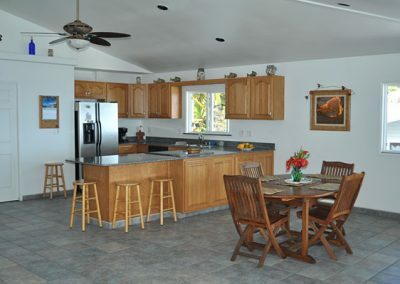 Meals can be taken in the dining area or while sitting on the bar stools along the kitchen island. 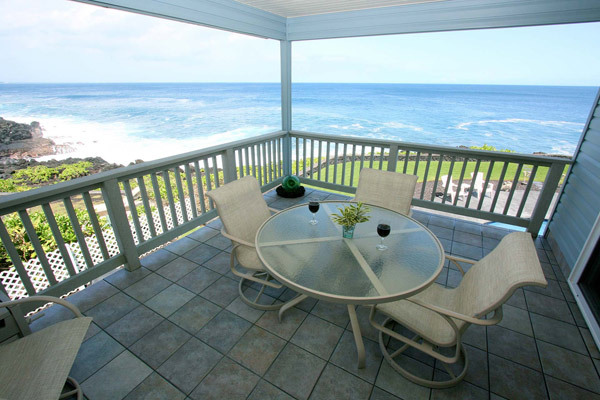 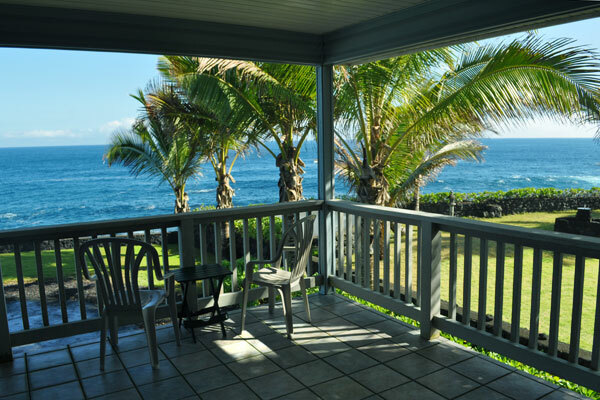 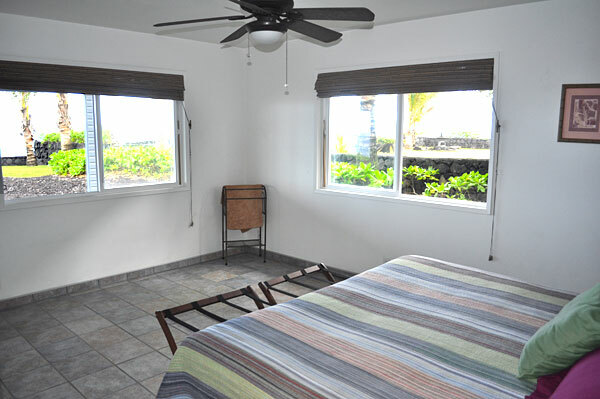 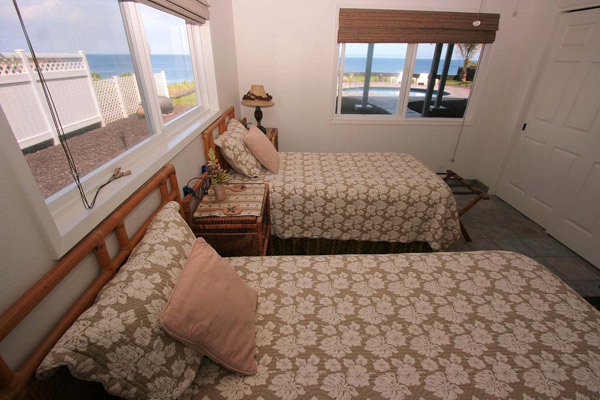 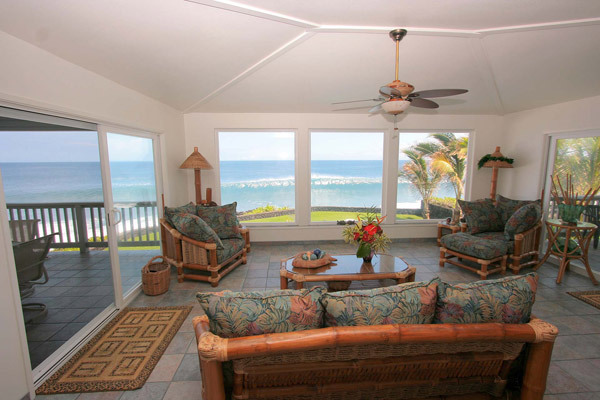 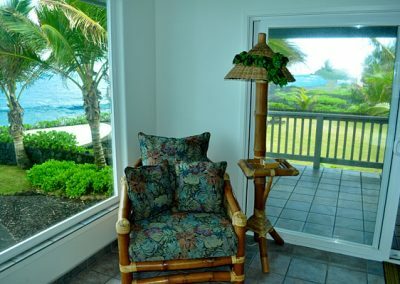 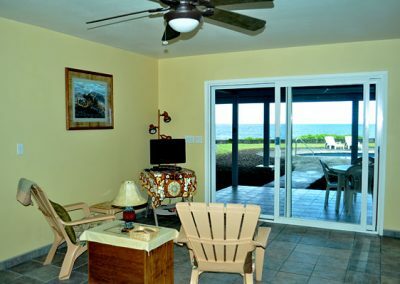 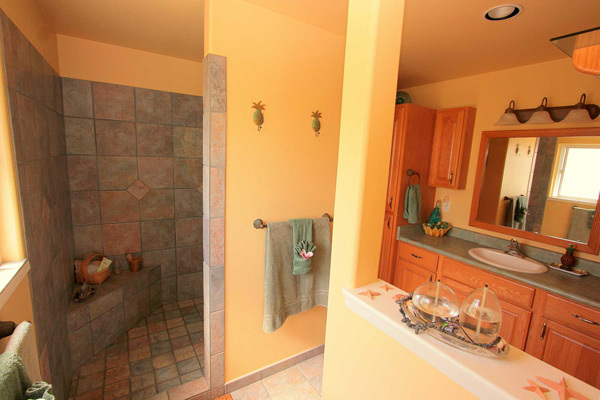 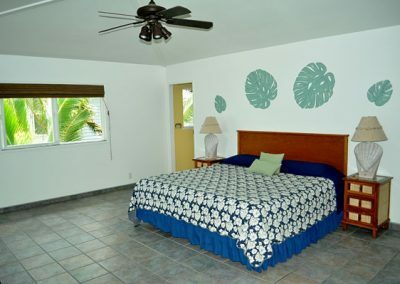 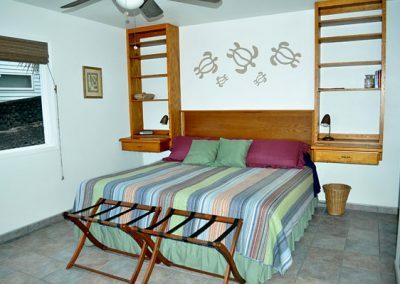 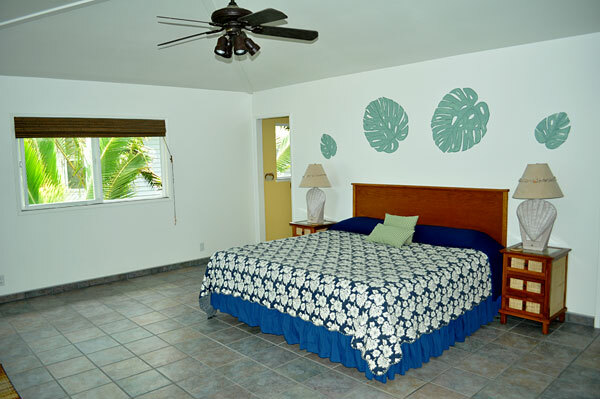 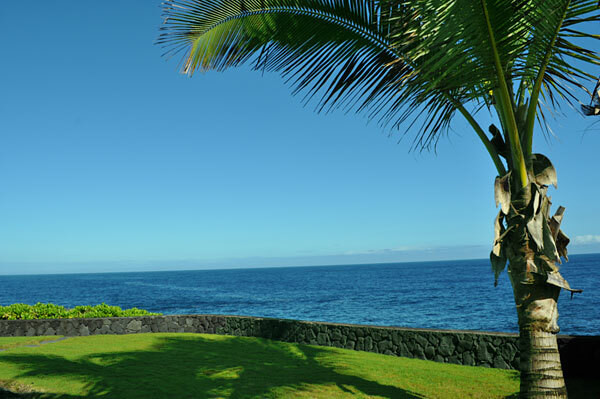 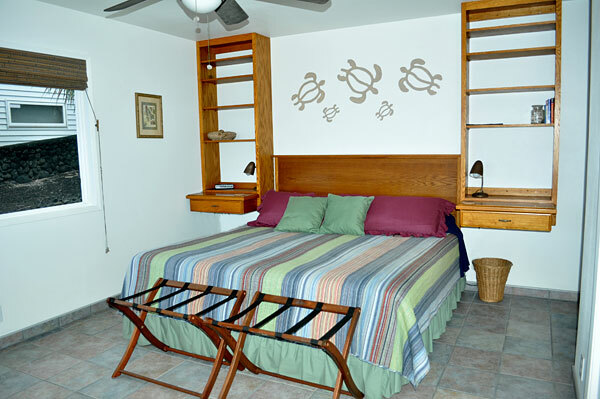 The master suite has an ocean view lanai, a beautiful bathroom and large walk in closet. 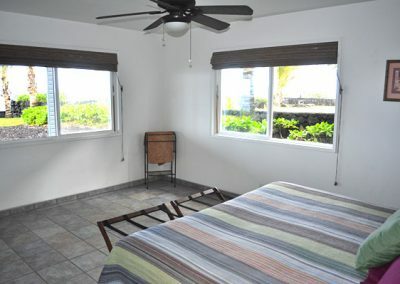 A second bedroom/office and half bath complete the upper floor. The lower floor can be accessed from an interior stairwell which has a beautiful tropical wall mural done by a local artist or an exterior cement sidewalk leading from the driveway to the lower level below. A door at the base of the stairwell can be locked for privacy. 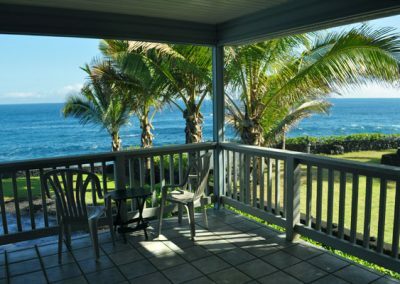 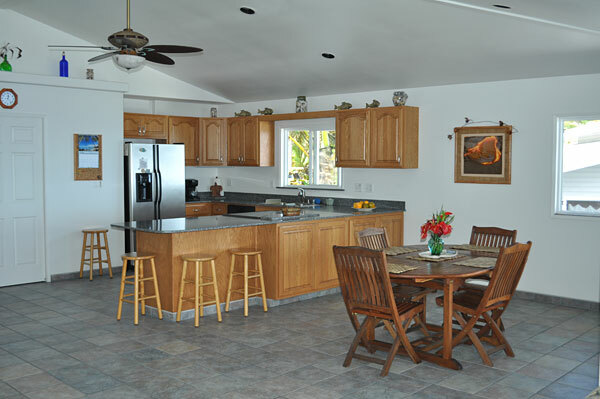 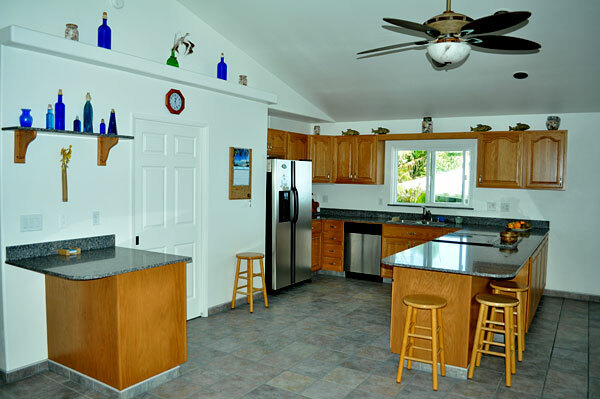 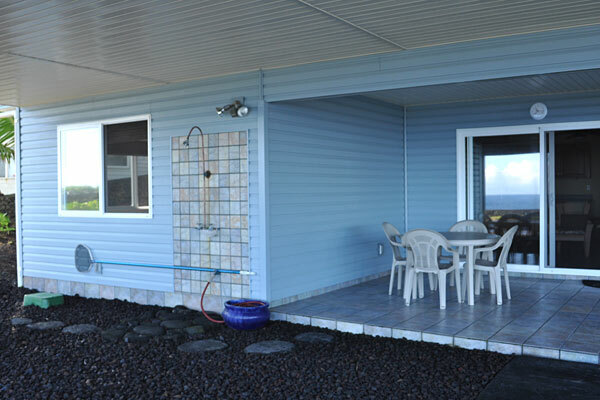 This level has a living area with views out to the lower lanai, pool and ocean, an efficiency kitchen, two bedrooms, a full bathroom and laundry room. 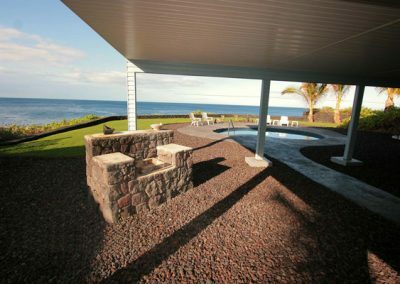 This home provides outdoor living at its best. 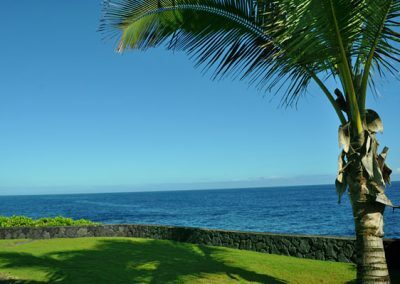 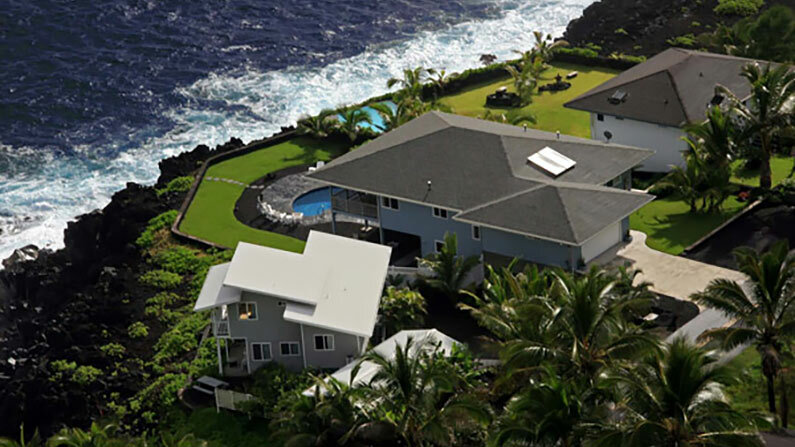 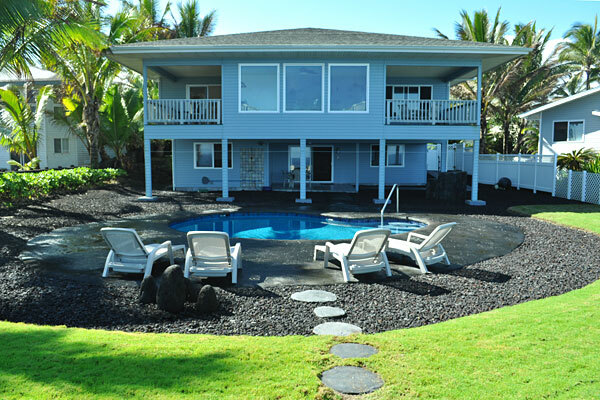 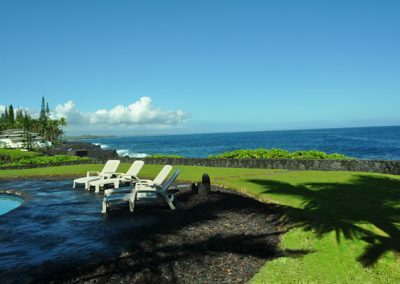 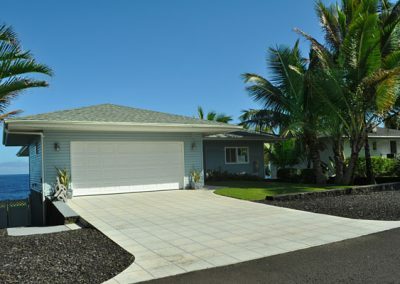 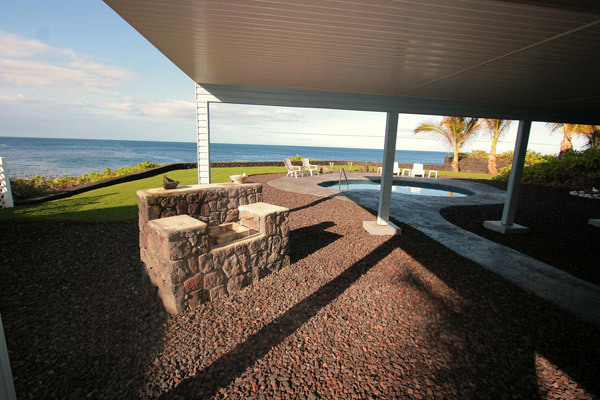 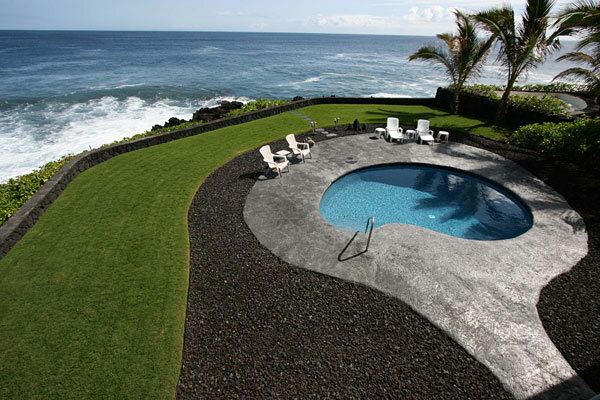 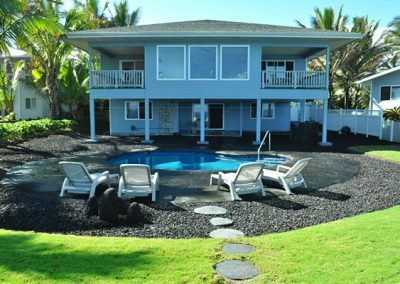 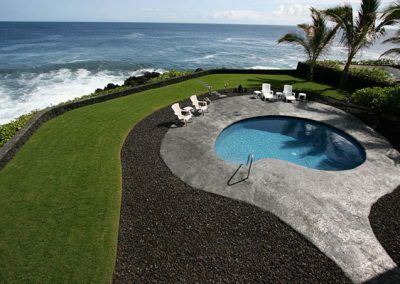 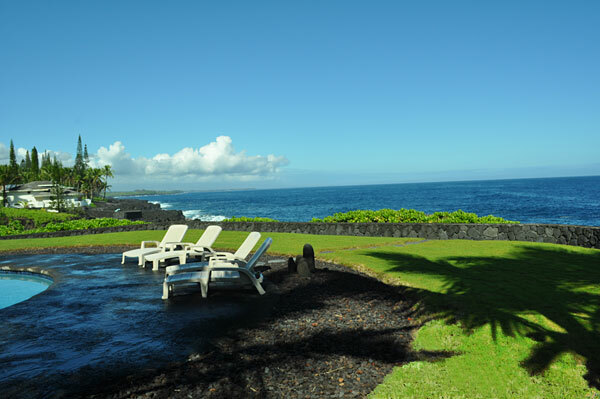 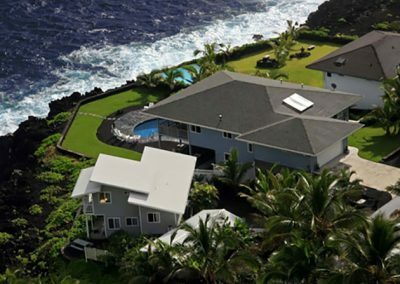 Besides the three lanais, the back area has an in-ground, solar heated, custom tiled pool with ozonator, beautiful lawn, outdoor shower and a lava rock BBQ. 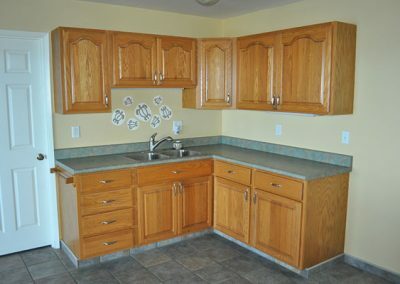 And there is more! 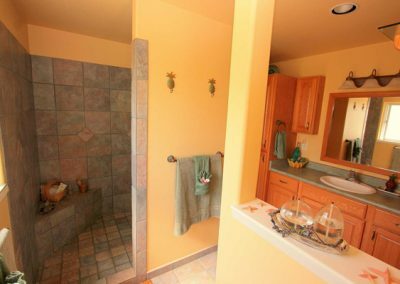 The home has porcelain tiled floors throughout, laundry drop shoot, hi-speed internet, satellite TV, private well water and large two car garage. 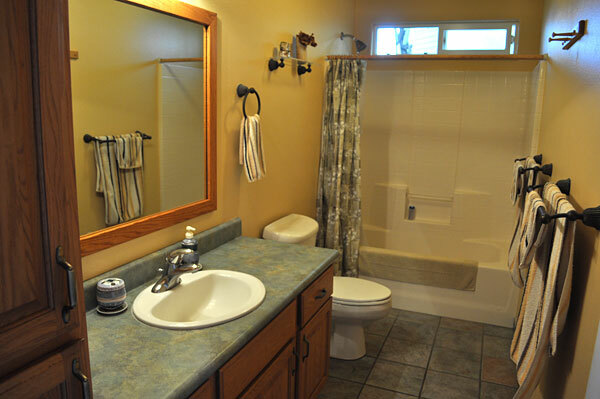 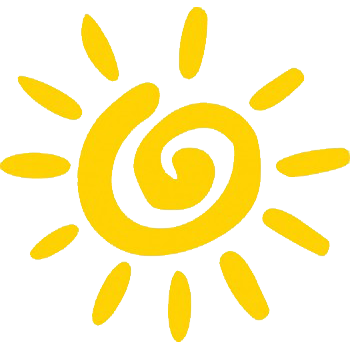 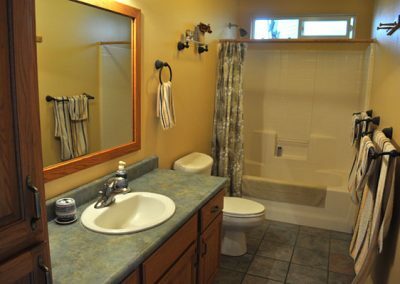 There is a utility room accessed from the outside where a wash sink, pool pump and filter system and solar 80 gallon water tank with electric back up are located. 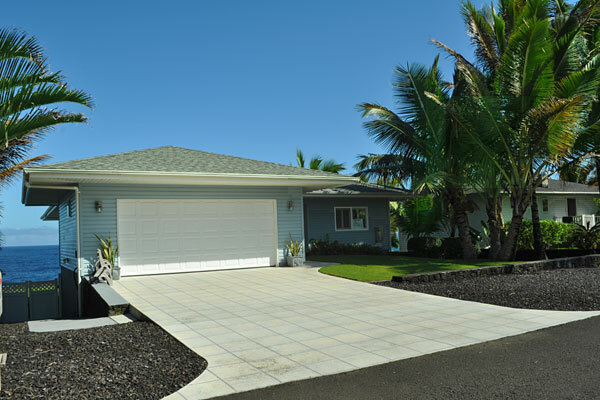 Neighborhood has underground utilities. 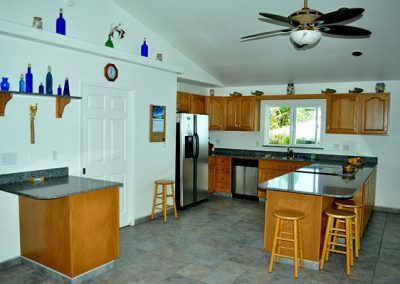 This home is currently a successful vacation rental. 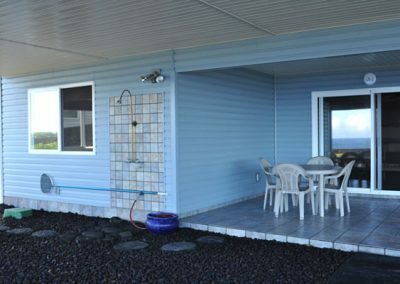 It is booked at almost 100% capacity. 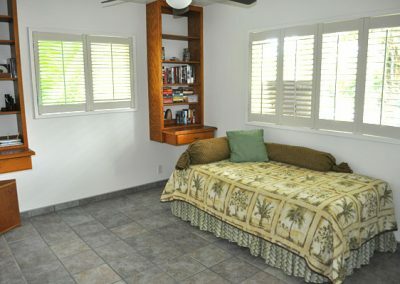 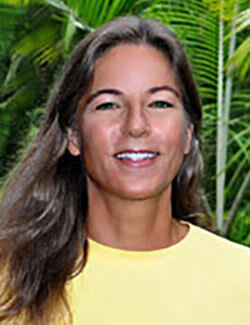 Contact Catherine Fedak for information on rental income possibilities and furniture available with sale.